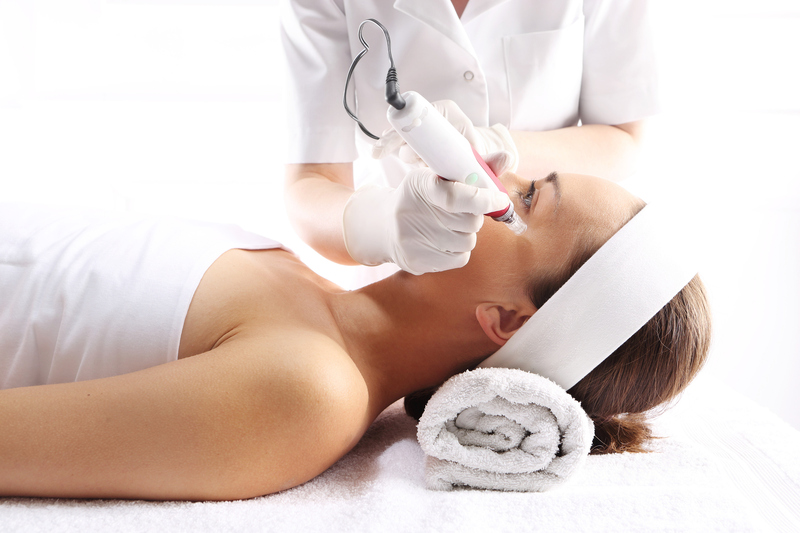 Microneedling is performed with an automated device that glides along the skin’s surface while deploying 12 tiny needles into the epidermis. These micro-injuries generate an intense healing response which helps to stimulate collagen production and smooth the skin. It can help to refine skin texture, minimize blemish scars, reduce the size of your pores and improve the quality of your skin overall. The downtime associated with this treatment is extremely minimal. Within 48 hours you’ll be able to return to work and resume your daily activities. You’ll notice a smoothing effect within a few weeks but it can take up to four weeks for optimum results. Since 3-5 sessions are usually recommended, depending on the conditions you’re trying to treat, give yourself at least 2-3 months before your wedding day if you plan on having this treatment. Beauty Tip: add PRP (platelet-rich-plasma) to your microneedling sessions for even faster healing and anti-aging benefits. Every bride could use a little “tweakment” to look absolutely stunning on the day of her wedding. Depending on your age it can be something simple as a Mini Lip Plump or more complex like treating frown lines, under eye hollows or contouring the cheek area. In any case, the bride-to-be would be wise to give herself at least 4-6 weeks before the big day to have dermal filler injections. The reason is hyaluronic acid fillers such as Restylane can take two weeks to settle in and produce the final results. Therefore, if a touch if necessary you’ll need another two weeks for healing and recovery time. There’s a real possibility of bruising and swelling (especially with lips) so you definitely want to make sure you have adequate time for any minor complications to resolve themselves in time. Beauty Tip: your injector may use a cannula (blunt tip needle) for part of all of your treatment to minimize the chances of bruising and swelling. With heavier makeup than usual on your wedding day you want to make sure your foundation doesn’t collect in creases or fine lines. Since you’ll be smiling a lot for photos the crow’s feet area is the first place makeup can ‘pool’ after a few hours. Other places are frown and forehead lines. To prevent this from happening a little Botox is all that’s required to make sure your make up stays perfect all day long. Additionally, another popular Botox injections is for the outer corners of your brows to softly raise the eyebrows. The effect is very subtle (only 2mm of lift) but it’s sufficient to open up your eyes for a more refreshed and youthful appearance. It takes up to two weeks to see the final result with Botox. Therefore factoring in any touch ups and healing time, it’s best to give yourself 3-4 weeks. Visit our Bridal Party Page to learn about our special offers and group discounts.